Leslie has dedicated her career to championing consumers – whether they were harmed by big corporations, dangerous products, medical mistakes, accidents, or an unsafe environment – no issue is too big for her to tackle. She successfully prevented an incinerator from being built at University Hospital (now UF-Jacksonville), which would have polluted the air with toxic chemicals and obtained significant restrictions of other Jacksonville hospital incinerators resulting in cleaner air. An attorney with Terrell Hogan for 20 years, Leslie is a graduate of Duke University and received her J.D. from Washington & Lee University. While in law school, she did an internship at the Federal Trade Commission’s Office of General Counsel, which sparked her passion for helping consumers. Hard work, attention to detail, and making a difference drive Leslie’s approach to the law and have led to her success. 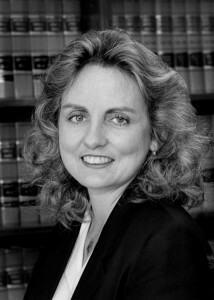 She has been recognized with numerous awards including the 2013 Jacksonville Women Lawyers Association Woman Lawyer of the Year Award, the Environmental Woman of Action for the State of Florida Award, the Mimi & Lee Adams Environmental Award – Individual category, and the 2002 Juvenile Diabetes Foundation’s Volunteer of the Year Award. Leslie also educates local high school students and businesses about the dangers of distracted driving. In her free time, she enjoys scuba diving, exploring Florida’s wonders, volunteering, and spoiling her Wirehaired Fox Terrier, Maggie Mae. Please contact Leslie directly at at lgoller@terrellhogan.com.